J.D. 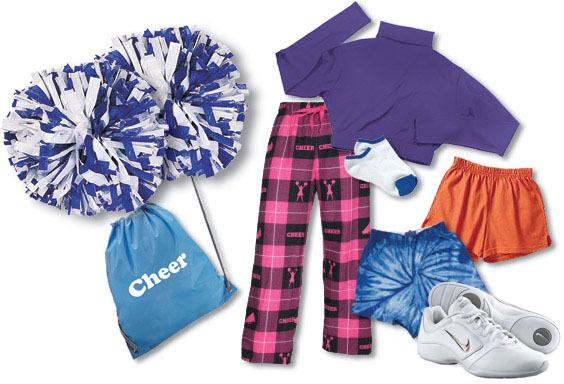 Sport offers a wide variety of cheerleading equipment and apparel, including warm-ups, team wear, spiritwear, sneakers, socks, poms, duffel bags, rain jackets, body liners and bloomers. We also stock a large selection of Soffe shorts. J.D. Sport can custom design cheer packages for your team or organization. Please contact one of J.D. Sport’s experienced staff members for more information on how we can outfit your squad.